Posted on February 10, 2019 at 9:04 am. You may have seen the commotion I caused a few weeks ago. Round two of this particular acting cage fight is about to take place tonight at the BAFTAs. If there is any jutice. If there is any sanity when it comes to awards Bradley should (for the love of God) MUST win. The reason for this is best demonstrated through a question that I got in. Recently you discussed the ‘Queen’ movie and how you thought it was a triumph of impersonating, rather than ‘being’ the character. So I wondered what you feel about the new Laurel and Hardy movie….as the Master….not as a movie critic per se? I wondered what you would think about the juxtaposition of 2 so familiar heroes where there are factual and fictional representations of their characters? Again, were the performances, for you, amere impressions? Can these “factually” based films ever be anything other than impressions from the actors? The Imitator is brilliant at indicational acting. This means they can reproduce what something looks like rather than what it feels like. The Emotional is brilliant at using their surroundings within their acting. They are ACTIVE in the environment and take physical impulses and actions easily. The Affective feels things very deeply and profoundly. They make abstract and meaningful connections to what is happening in front of them. They seek to connect deeply to themselves. The Rationalist is worst personality type when it comes to acting. They should never become actors. Why? They see everything happening in front of them, but they talk themselves out of any actions or deep perceptions. They are ultra-cautious and very left brain. Very uncreative. They would make great accountants but rubbish actors. The best actors in the world are a combination of Emotional and Affective. They have deep, meaningful connections to themselves and others and take action freely. Daniel Day-Lewis, Bradley Cooper, Meryl Streep, Heath Ledger, Amy Adams, Joaquin Phoenix are all excellent examples of this kind of actor. The Imitators are good at indicating and mimicking. They are not deep actors but are very good at showing the eternal form of things. If you are going to make a biopic of someone very well known like Freddie Mercury or Laurel and Hardy you would want an imitator. Why? Because the externals (body and voice) need to be perfect. Everyone knows what they were like so you must adhere to that. Unfortunately, though, they lack depth. Pretty much all biopics of this type will suffer from this, and it means that it’s closer to an excellent impersonation than great acting. Which is why Bradley should win best actor tonight and not Rami. Some may disagree with my humble (but accurate) opinion, but The Master has spoken. 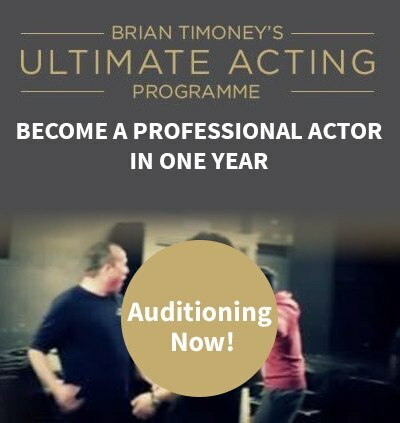 Now, if you would like me to take you through the process of how to become an Emotional and Affective actor then then the Ultimate Acting Programme awaits…but not for much longer. The deadline for applications for the next auditions is Monday 11th February at midnight. Movie Acting – Should You Go Straight Into It?